The FOTAGL Board of Directors meets on the second Tuesday of each month at 9AM in the library. All FOTAGL members are invited to attend. 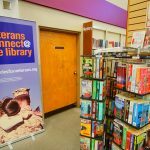 Reminder that the library now offers services to Veterans on Mondays & Tuesdays. Call Yvette Mason at 781-5766 for an appointment. Come see the new “Veterans’ Office” now open in the library. The sale is co-sponsored by the AG Library and FOTAGL. Join us on Saturday, April 13th from 10AM to 3PM (members may enter starting at 9:30 am. Please bring a copy of your last newsletter). Start your Holiday shopping here! As usual you can find many treasures at truly bargain prices. The $2 bag sale starts an hour earlier @ 1PM. All proceeds benefit the AG Library. Join us the 3rd Thursday of each month as we knit together, learn new techniques, and enjoy each other’s company. Let your creativity flow! 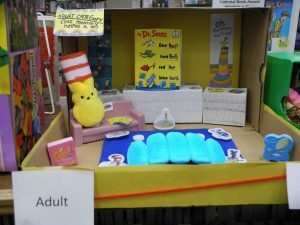 Design and build a Peeps diorama of your favorite book, poem, or nursery rhyme. There are three age categories: children 12 and under, teens, and adults. Entries will be accepted March 1- March 30 and voting will take place April 1-5. Awards will be given out Friday, April 6th. Call 805-473-7163 or stop by for more info. Kids can learn how robots are made, how they compete, and even take one for a spin with the Arroyo Grande High School Eagle Robotics Team. All ages. The Dunes Center will come and discuss the fascinating history of a unique group of individuals, The Dunites, who called the Oceano Dunes home. Join us to learn all about Henna, its origin, uses, ingredients, and how to apply it. You will receive a small henna design. Registration required. Registration required at slolibrary.org or by calling 805-473-7163. Ages 10 and up. South County Youth Coalition partnered with Parent Connection are pleased to provide San Luis Obispo County residents with Curious Parent Forums and Support Groups in the 2018-2019 school year! For registration, please call Rubi Cuevas at (805) 474-3000 ext. 1229, send an email to: rubi.cuevas@lmusd.org or register at slolibrary.org. Childcare will be provided. Refreshments will be served. Meet your favorite stars from Star Wars, and learn how to battle in a Jedi style. All ages. Learn essential oil basics, such as uses and applications as well as create your own essential oil blend that you can take home with you. Ages 15 & up. Registration required at slolibrary.org or by calling 805-473-7163. The Arroyo Grande Library will be hosting the artwork of Claryce Knupper, a silk and watercolor artist, in the internet lounge of the library during the month of May. Join the “Arroyo Grande Bookends,” an adult book discussion group moderated by a library staff member and open to the public. This month the book, Killers of the Flower Moon by David Grann will be discussed. For information please email Barbara at bleaders@slolibrary.org or call 473-7161. The “Arroyo Grande Bookends” reading list for 2019 is located on the SLO Library Home Page at www.slolibrary.org, click on Events then click on Book Groups. Join the “Arroyo Grande Bookends,” an adult book discussion group moderated by a library staff member and open to the public. This month the Killers of the Flower Moon by David Grann will be discussed. For information please email Barbara at bleaders@slolibrary.org or call 473-7161. The “Arroyo Grande Bookends” reading list for 2019 is located on the SLO Library Home Page at www.slolibrary.org, click on Events then click on Book Groups. 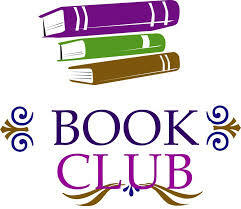 Join the Library Book Club today!